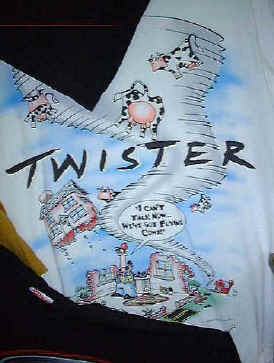 Welcome to our virtual tour of the “Twister” Museum. 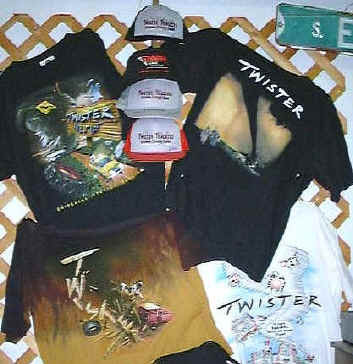 I’ll show you a few of the items used to film the movie “Twister” during the summer of 1995. Please do plan to see the museum in person, as any web site is no substitute for the real experience. During filming, this building housed the production company’s “on location” office, set dressing and the art department. 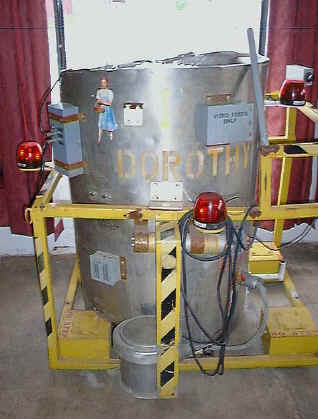 This movie prop is the original “Dorothy I” and now resides at our museum. This Dorothy was, as you recall in the movie, wrecked by the yellow jeep. 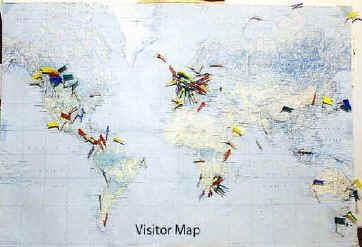 Visitors from the across the U.S. and over 25 foreign countries have enjoyed visiting the museum and have marked their home locations our maps. 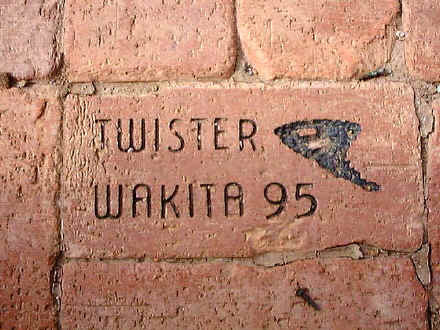 Warner Bros filmed segments of “Twister” here in Wakita from April through August, 1995. 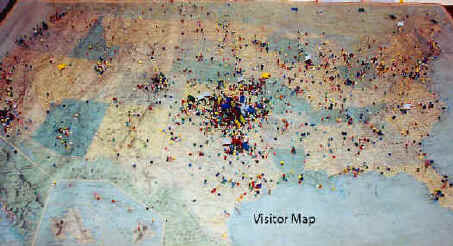 Stephen Spielberg, Executive Producer, visited Wakita and some film segments were filmed out the doors of this museum. Warner Bros held a casting call in Wakita and many local residents were used for background shots during filming. 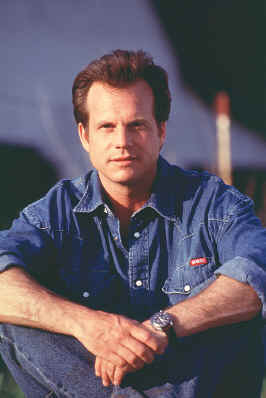 Bill Paxton and Helen Hunt co-starred in “Twister”. Bill was the town favorite of all the stars and was gracious enough to sign autographs and pose for pictures with everyone. Some of his spare time was filled while carrying a football and playing catch with the locals. 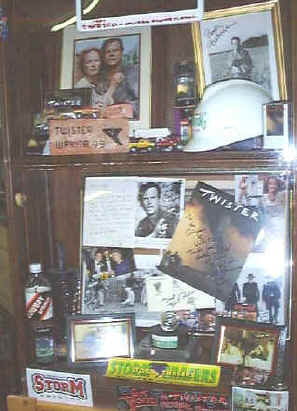 This bookcase displays some autographs, candid photos and home video. 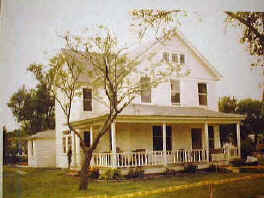 Above is the Wakita home of “Aunt Meg” in the movie. 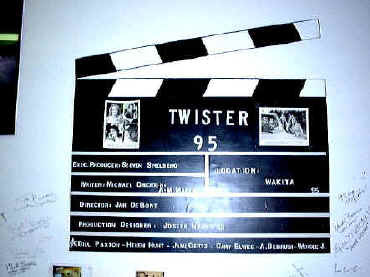 The structure was refurbished by the film’s construction crew only to be totally demolished by the movie’s twister. 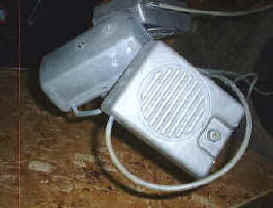 These old-style speakers are from the drive-in theater that was destroyed in the movie. These T-shirts on display at the museum were available at the premier of the movie and are not for sale. We do, however, have some Wakita, Oklahoma T-shirts available for purchase. 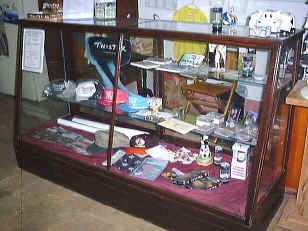 The museum offers a selection of Wakita T-shirts, hats, “Dorothy” sensor replicas, trading cards and other gifts for purchase. 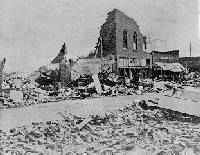 The movie’s demolition crew reduced some of the original Wakita buildings to piles of bricks, which were later salvaged and engraved. 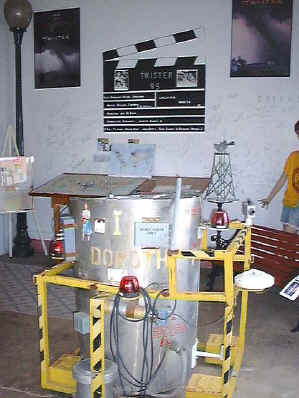 These photos taken along main street help convey some idea of how completely convincing Hollywood’s “Twister” film set was. In fact, it was all too real for a video crew aboard a helicopter that happened to fly over Wakita. 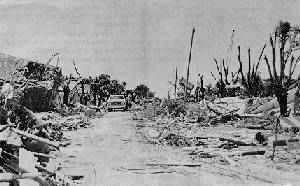 Upon seeing the destruction from the air, they immediately landed their helicopter west of town to investigate. 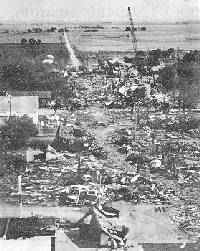 They discovered that all was well and were relieved to learn that the devastation was merely part of filming “Twister”. For Wakita, such were the days of summer, 1995. 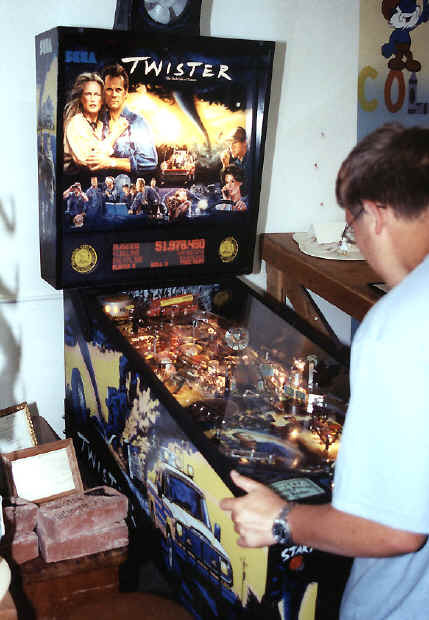 This “Twister” pinball game was given to Bill Paxton at the Hollywood premiere. 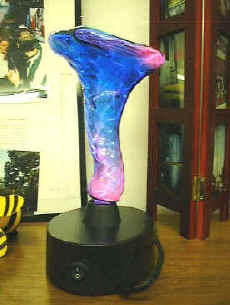 It was later donated to the museum by Bill Paxton. 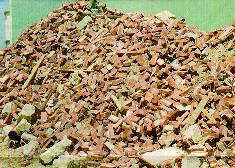 Warner Bros donated many of the photos on display as well as some of the debris items. Tom Grazulis, Tim Marshall and other “real life” storm chasers have donated tornado posters, photos and other valuable items to the museum for all to enjoy. Thanks for letting me show you around our Twister Museum. We are open from 1 to 5 PM on Tuesday though Saturday, April through August, and other times by appointment. Please call 580-594-2312 to arrange for a special tour time. 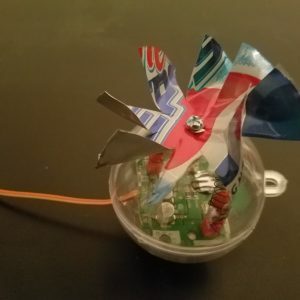 Copyright 2019 Twister The Movie Museum. All Rights Reserved.